Art Handling Services focus is on commercial galleries and storage, perfectly complementing our existing business. This broader service offering allows our clients to benefit from 25 years of experience specialising in the packing, storage and transportation of fine art work and other valuable items. Fred Weijgertse, Group Vice President, Crown Fine Art welcomed John Paul Speelman, the former owner of Art Handling Services to the group, stating "This acquisition greatly enhances Crown's position in the commercial gallery and storage sector, enabling us to continue our expansion and servicing our clients. Their strong client base enhances our total offering in this key market. We will provide a business as usual service for our customers and this acquisition presents a wonderful opportunity to share skills and expertise." 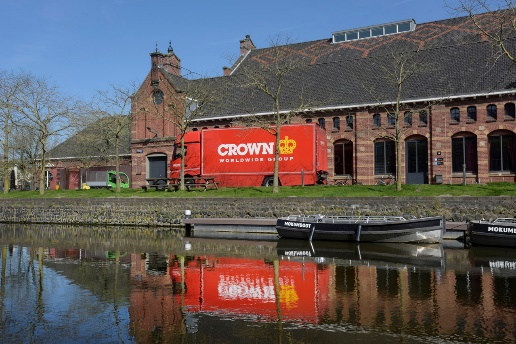 2018 continues to be an exciting year for the growth of our Crown Fine Art business as we look to expand our position in the commercial gallery and storage sector.